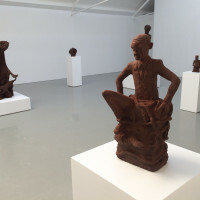 3D print installations, inventions, arts, experiences and experiments. Helping Tom Dumoulin to go faster in collaboration with Team Giant-Alpecin and TU Delft. During the big Tour de France time trial on the 15th of July, Tom Dumoulin will be cycling in a new suit, developed jointly by Team Giant-Alpecin and the TU Delft. 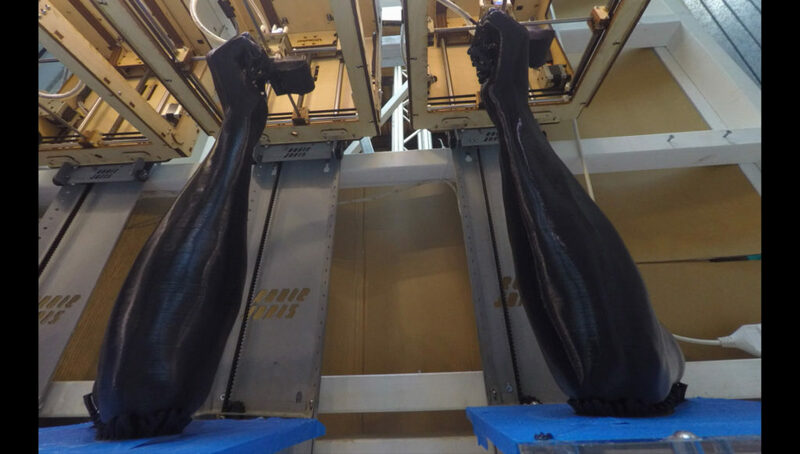 The university used a peculiar method during the investigation of the aerodynamics of the suit: Dumoulin’s body was first scanned, after which a 3D-mannequin of his body was printed. The drag of this mannequin – each time with a different suit – was then tested and optimised in the Delft’ wind tunnel. One of the areas for professional cyclists to still stand out is (even) better aerodynamics. This is partly determined by the cyclist’s posture on the bike, but an even more streamlined outfit can also aid to this. 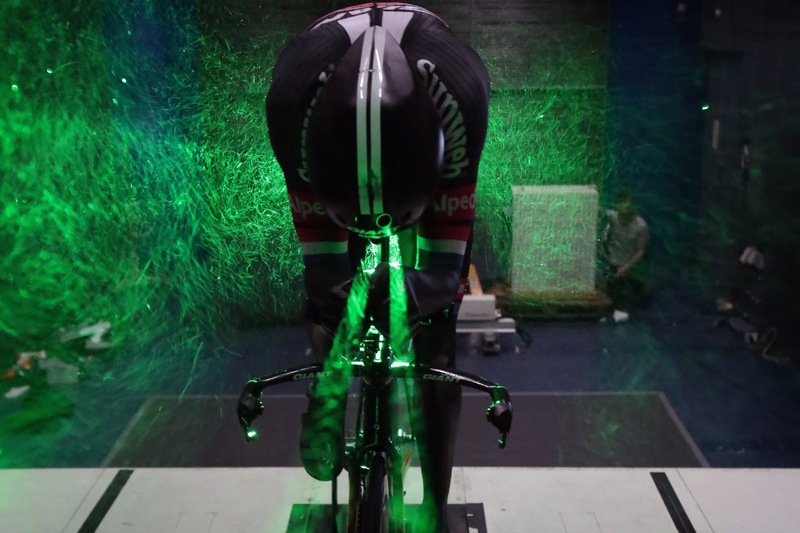 Reason enough for Team Giant-Alpecin to collaborate with scientists of the TU Delft on developing an improved cycling suit. ‘During cycling – and especially during a time trial – it’s all a matter of seconds; so even if a faster suit can only deliver a small improvement, this can make a huge difference’, according to Tom Dumoulin. The difference between Tom Dumoulin and the runner-up in the prologue of the Giro d’Italia was indeed a mere 14-hundreth of a second. Scientifically speaking, you’d ideally have unlimited access to the athlete, in order to conduct extensive win tunnel tests and develop the perfect suit for them specifically. However, you can’t place a professional cyclist in a wind tunnel for weeks on end. 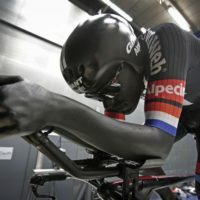 The consequent idea, developed at the TU Delft, was to not place the cyclist himself, in this case Tom Dumoulin, in the wind tunnel, but a mannequin with the exact same physical measurements. An even more important upside to the use of a mannequin in the wind tunnel: it remains perfectly still, making the measurements of the airflows around the body much quicker and more accurate. The project is aimed at the time trial outfit for Tom Dumoulin, one of the best time trial cyclists in the world. The new and improved suit will be used during the big time trial on the 15th of July in the Tour de France. ‘Several steps were taken to make the suit more aerodynamic. First, the body of Dumoulin was accurately scanned. Afterwards, using this data, a precise, full-size mannequin of his body was 3D-printed. This mannequin was then used to take measurements on different suits and materials in the TU Delft wind tunnel’ explains Dr. Daan Bregman of the TU Delft Sports Engineering Institute. 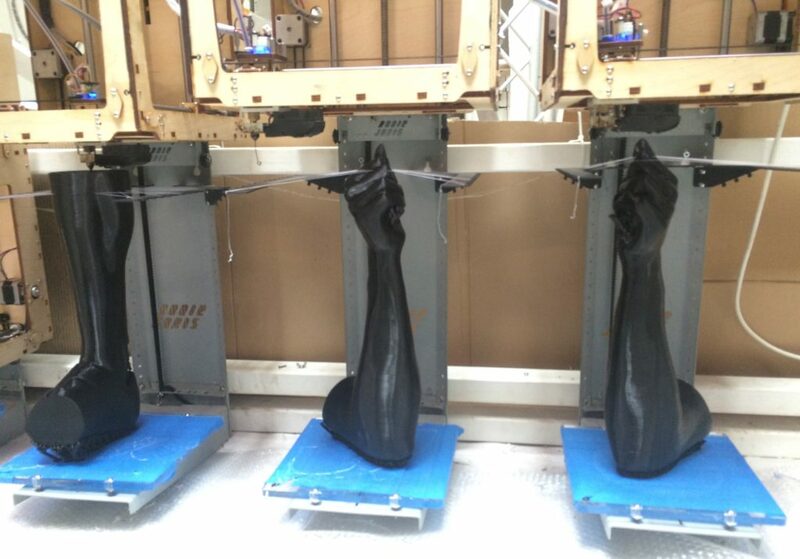 The next step in the process is building the mannequin – for which 3D-printing was chosen. 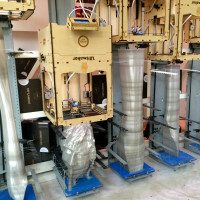 ‘3D-printing is getting increasingly accurate and cheap and thus more attainable. We actually use a fairly standard 3D-printer, albeit one that can print relatively quickly. Through a relatively simple adjustment, the printer can now reach up to 2 metres high. It took us about 50 hours to print the mannequin, up to 20 micrometres precise. 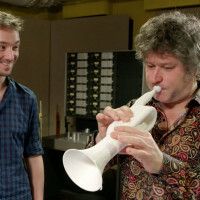 The mannequin of Dumoulin proceeded to Wouter Terra, a PhD-student at the Faculty of Aerospace Engineering at the TU Delft. 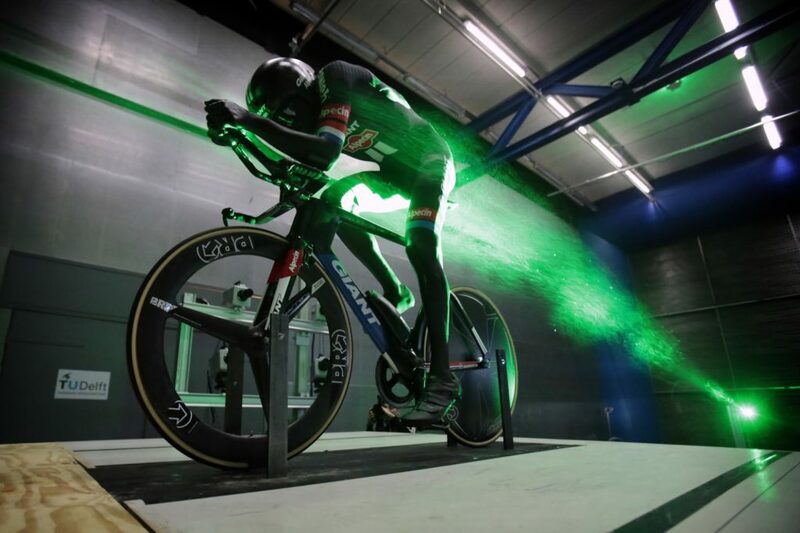 He took several measurements in the TU Delft wind tunnel, using different suits and materials. ‘One would expect a smoother fabric to induce less drag (i.e. air resistance)’, explains Terra. ‘But this isn’t always the case – especially when looking at the airflow around a rounded blunt, non-streamlined shape, like the body of a cyclist.’ Why does a ridged surface perform better in certain areas? ‘In short, it boils down to this: drag is built up out of two components; firstly: the drag through friction and secondly: the drag through pressure’, explains Terra. ‘Through the roughness of the ribbed pattern, the drag through friction will increase, but the drag through pressure can drastically drop. The net drag will then decrease. An inventive combination of rough and smooth spots on the suit might only result in a decrease in drag of half a percent, but this could potentially deliver those precious seconds that make the difference between winning or being in the top-10’, is the assessment of the PhD-student. ‘Because research has shown that the composition and structure of the fabric in a cycling suit have a significant influence on the drag, we started exploring how to improve our time trial suit’, explains Teun van Erp, scientific expert of Team Giant-Alpecin. 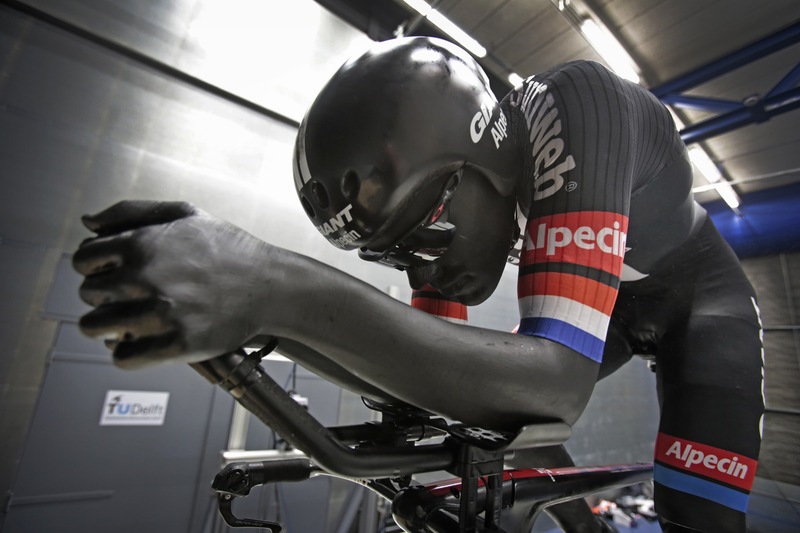 Terra expects the new time trial outfit of Tom Dumoulin, that was developed based on, amongst others, the insights from the TU Delft wind tunnel tests, to result in a time saving. ‘We measured clear difference in drag between the different materials. 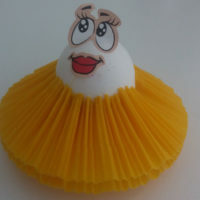 A difference of just one perfect in drag, to name but a number, might not seem much, but can result in a time saving of about ten seconds in a hour-long time trial. ‘On top of this, one could imagine that cycling in an improved suit can also result in a psychological effect on the athlete’, says Teun van Erp (Team Giant-Alpecin). 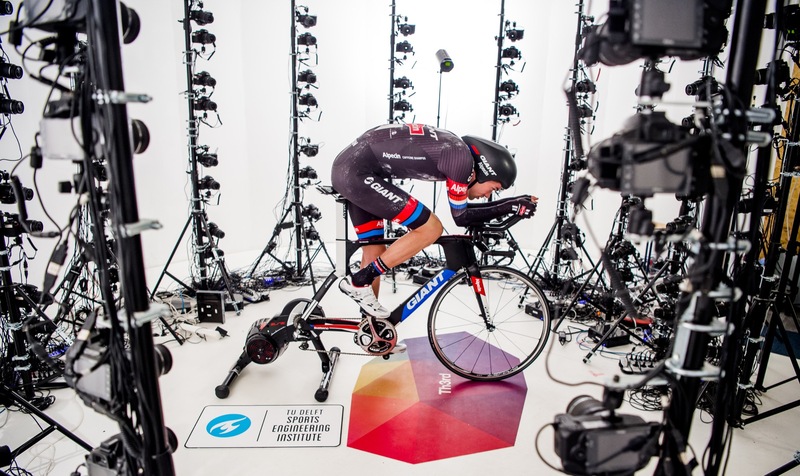 Team Giant-Alpecin and the TU Delft have recently announced a long-lasting collaboration. Meanwhile, this collaboration has reached four key areas, one of which is aerodynamics.